Lately I’ve been on a bit of a nostalgia kick for my teenage years, from books, to video games, and even the good ol’ Windows ‘95 startup chime. Maybe it’s because the world felt safer (pre-9/11! ), the internet felt fresh and exciting (pre-Russian bots! ), and it was pretty much a golden age of pop culture, music, and movies (pre-perpetual remakes!). 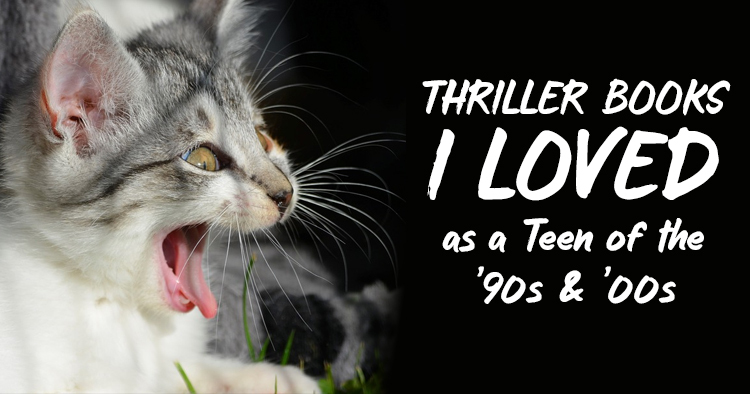 In today’s post, I’m going to focus on thriller books I loved as a teen! Maybe I’ll turn this into a series, with TV shows, movies, and video games as future fodder. That’d be a fun lil’ distraction. Just like today, I loved a good twist in my books, and while I cherished Harry Potter and everything Tolkien, my bookshelves were mostly filled with thrillers, suspense, and horror. I remember poring over my Scholastic book fair catalogue and circling anything to do with ghosts, possessed dolls, zombies, murder, kidnapping, or anything even remotely paranormal. Then I grew up and started writing Young Adult thrillers. Shocker. Here are the books that shaped my love of twisty, disturbing thrillers. I hope you get a kick out of remembering some of these, too! Pro tip for teens: If you don’t use Goodreads or BookBub to track your reading list, take pictures of your bookshelves immediately. In fifteen years, you will be so happy you did. I regret not doing this! No joke: R.L. Stine’s cliffhanger chapter endings inspire my own writing today. They make “just one more chapter” impossible, and force you to gobble up a book in one sitting. More than 150 books comprised this series, and there are too many good ones to mention them all, but I had three favorite series-within-a-series. 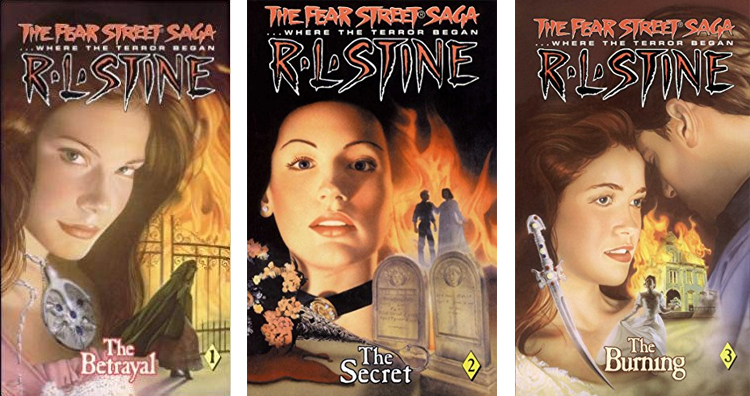 This trilogy reveals the Fear Street curse’s origin. It began with the feud between the Fier (later Fear) and Goode families, stretching way back to the Salem Witch Trials era. It’s so much fun (in a morbid way?) to see what horrors transpired generation after generation. I wouldn’t necessarily recommend starting with these, even though they were my absolute favorite — it’s more fun if you’ve already read a bunch of Fear Street and are curious about how the evil began. 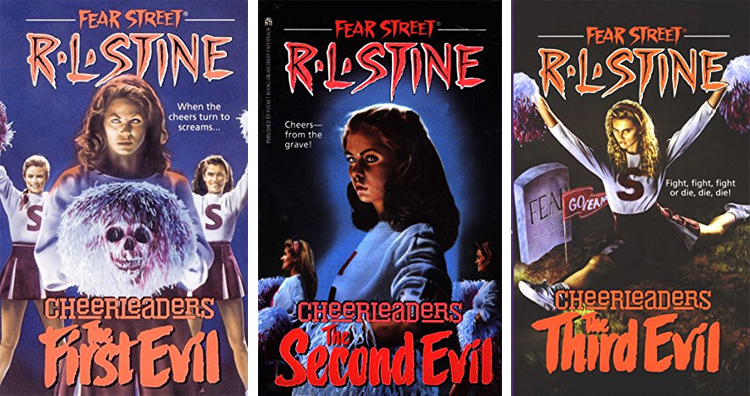 In this series, sisters Corky and Bobbi move to Fear Street and join the Shadyside cheerleading squad. Soon after, unfortunate disasters and injuries befall the squad… and someone — or something — evil is behind them. While I loved the Fear Street novels that were more like contemporary psychological thrillers (with an evil teen being the villian), I especially enjoyed these supernatural horrors linking back to the origin story and the Fear family curse. Again, you’ve got a case of a family moving to a house on Fear Street, some evil spirits torment them, teens die, yadda yadda. Do I remember why one of the sisters resembles Little Red Riding Hood’s ghost on the third book’s cover? No. But thanks to this series, to this day I’m terrified of garbage disposals. No joke. Every time I run my garbage disposal, I think of this series. Spoiler alert. Sorry. In this book, Janie recognizes her childhood photo on the “Missing Child” panel of a milk carton. The pictured three-year-old was kidnapped from a shopping mall in New Jersey 12 years ago, and Janie suspects her parents kidnapped her. Forcing down her denial, she digs around for answers, and is horrified by what she finds. It’s a roller coaster of a book, and makes you wonder what you’d do if everything you thought you knew about yourself and the people you loved most was a lie. The sequel Whatever Happened to Janie is great, too! This book was literally the reason I got rid of my childhood dollhouse. But that didn’t stop me from re-reading it a gazillion times. 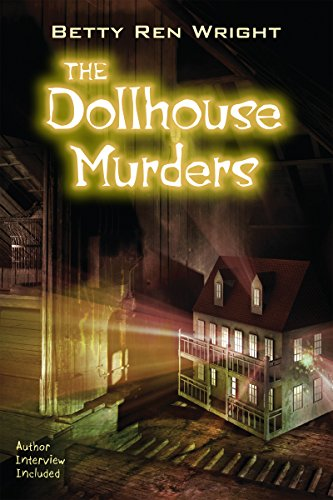 Essentially, there’s an old dollhouse in Amy’s attic, and the dolls come to life at night and drop clues that might help her solve a decades-old murder mystery. But forget Toy Story — the whole concept of dolls coming to life, scratching and scurrying through their little house, is creepy as hell. Also, people in the 90’s really had a thing for dollhouses. There was also Time Windows and When The Dolls Woke. I read both of them but don’t remember them as vividly as The Dollhouse Murders. Hey look, a YA vampire novel from way before YA vampire novels were a Thing! Sixteen-year-old Cynda moves in with her father, his second wife, and their small son in their isolated (and haunted, obviously) bed and breakfast in Maine. One day, a handsome stranger Vincent Morthanos checks into the inn. Seduced by his intensity, Cynda falls for him before realizing he is a vampire, and has to save her family from the same fate as the girl haunting the inn. There are also ghosts involved, so this one checks a lot of boxes. Sure, a book is almost always better than its film adaptation. 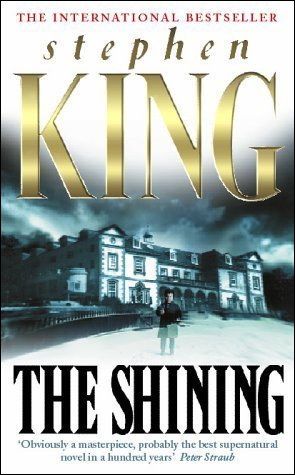 But this is the first book I’ve ever read after seeing the movie in which I thought the book was WAY scarier. I’m still fiercely disappointed they left the hedge animals out of the movie, because that scene was one of the most terrifying I’ve ever read. Stahhp, of course I had to include this. 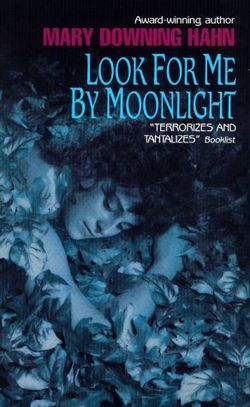 You don’t make a list of 90’s teen thriller/horror books and not mention this one. While not every short story left a lasting impression, I’m still terrified that someday a spider will lay eggs on my face, the eggs will hatch, and there’ll be a gazillion little spiders scurrying all over me. Nope, nope, nope. 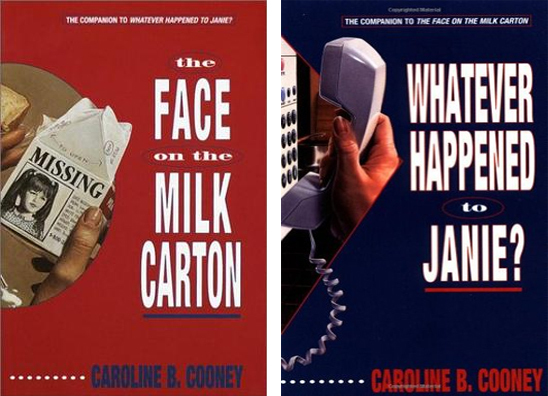 Were these books super terrifying? No. Did I care? No. I loved seeing my favorite fictional club face various ghostly or mysterious obstacles. I mean, if someone created a book series of Frodo, Sam, Merry, and Pippin solving murder mysteries, I’d be all over that. 8. Help me find this series! There was a three-book YA thriller/horror series I loved as a teen but don’t remember the title or author name, and apparently it was so obscure that all my Google searches are failing. It featured a boy protagonist whose family moves into a haunted house, and the creepiness escalates until the ghost/demonic presence/whatever traps his little sister in the attic while their parents are out. The boy heads into the attic to search for her, and there are way more rooms than could fit into the attic, House of Leaves-style. He rescues his sister at the end of the first book, but they don’t move (maybe their parents didn’t believe them?) so two more books worth of chaos ensues. 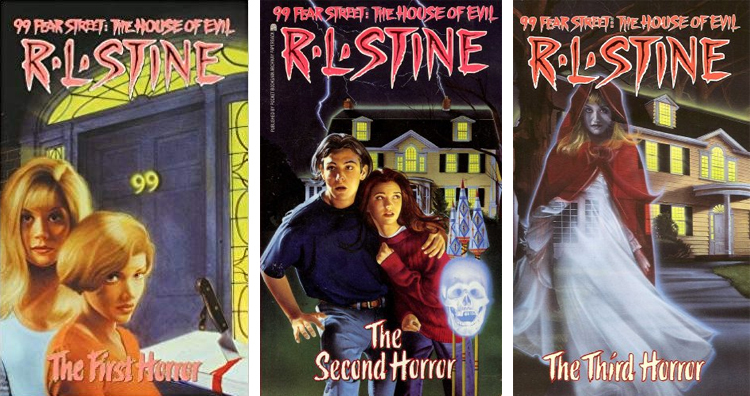 Each of the three covers showed the house with a pair of eyes superimposed above the house, each with a different expression (scared, sad, angry), and each in a different neon color (blue, green, maybe red?). I cannot for the life of me find this series, and I can’t remember any more details. But it would be AMAZING if someone knows what I’m talking about. If you do, please comment below! This is far from a complete list. Christopher Pike is notably missing. Er… sorry. I just never read his books as a kid — or if I did, I can’t remember! Maybe I was too busy reading every Fear Street book. What were your favorite thrillers as a teen? And if you’re a teen now, have you read any of these older books? Let me know in the comments below! Full disclosure: I use affiliate links in this article, which means I’ll receive a small commission from the sales resulting in those link clicks at no additional cost to you. But that did not impact the books I chose to feature on this list or the content of this post in any way!